I love pasta and although we all have to use the ready made tomato sauce sometimes, it’s undeniable that the homemade sauce is the best. This is a easy and quick recipe and it’s perfect for when you want a comfort meal. You can blend the sauce if you prefer, I’ve done it like this as I love the chunky bits. Indulge yourself! Fry the garlic and onion on a low fire for 5 minutes. Add the chives and stir for about 5 minutes. Add the tomatoes, black pepper, basil and vegetable cube and cook it low fire for 20 minutes. In the meantime cook the pasta in salted water as per the package instructions. When the pasta is ready mix it with the vegan margarine and spread the sauce on top. 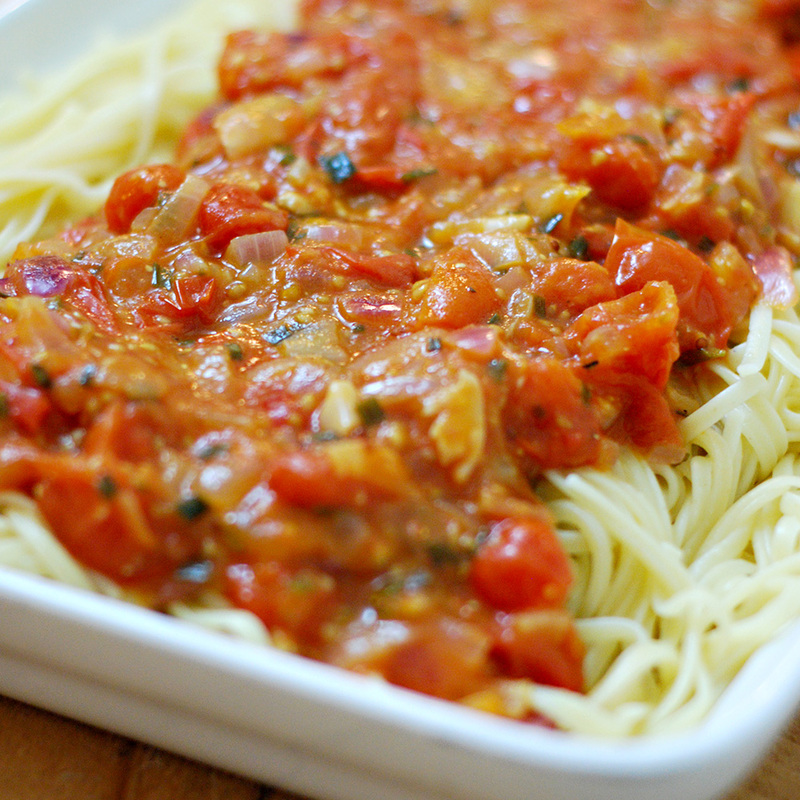 Tip – when cooking pasta drizzle a bit of olive oil on the boiling water so the pasta doesn’t stick together.